Some career experts say that the day you start a new job you should begin planning for your next job. And you know what? You should! Just make sure that you stay focused enough on the job you were hired for that you succeed and excel in that position before looking for the next one. 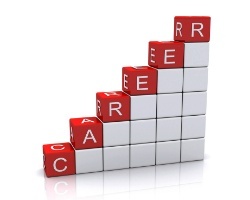 Explore this apt article on Moving Up the Ladder: 10 strategies for getting yourself promoted. Promotions are not a given. It used to be that workers progressed along specific career paths during their careers, but the impact of technology, globalization, and flatter organizational structures, has changed that paradigm. Today, employees have to create and manage their own career paths — through one or multiple organizations. And remember that a promotion is not always an upward path. Sometimes — especially in today’s business environment — you may need to make a lateral move to position yourself for a later upward move. How do you develop your promotion plan? Incorporate these 10 strategies into your plan. Don’t plan your day. Go towork each day without a plan in mind. Rely on your current base of knowledge. No need to learn new skills. Voice your complaints. Be vocal about what you don’t like at work. Don’t share the credit. Put your name alone at the top of successful projects. One recent study found that in four out of five promotions, those promoted had a mentoring relationship with someone higher in the company who helped spread the good word about them. Some companies have formal mentoring programs, but even if your company does not, there are still ways you can build relationships with people in higher positions in the company. Mentors can also be great sources for information and career guidance. While promotions are not necessarily based on your past performance, you can certainly make a much better case for a promotion by showing detailed information about your past successes. Those who get results get ahead. Keep a record of everything you do that enhances the company’s bottom line, that puts the company or your department in a good light, that is creative and innovative, and that shows your loyalty and commitment to the organization. We’re taught by our families that modesty is a virtue, but just as with job-hunting, if no one knows how great you are, you simply won’t get ahead. Be a known quantity. If you have had major accomplishments or created new or award-winning programs, make sure people know about them — especially the people doing the promoting. Sell yourself — and let it be known that you are seeking a promotion. Oneprofessional we know sends out a monthly email to his boss and his boss’s boss to keep them updated on his progress on various projects — and to share any accomplishments and accolades that occurred in the previous month. It might help to think of your boss as one of those border guards between countries. 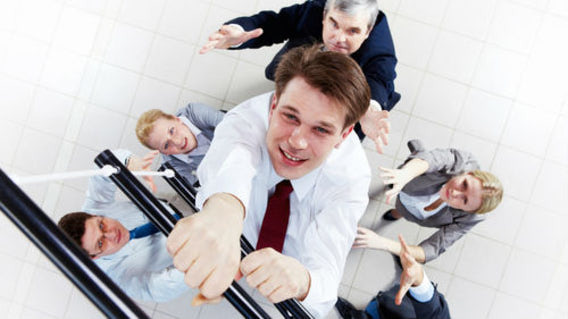 S/he can either be raising the gate and waving you onward and upward to your next position within the company, or s/he can be keeping the gate down and blocking you from any movement within the company. Use all opportunities to make your boss a key supporter of your promotion. Use professional settings to seek counsel and stress your interest in staying with the company. Use performance appraisals not just to go over your accomplishments, but to talk with your boss about potential roadblocks to a promotion — and how to overcome those roadblocks. Some experts also suggest building rapport with your boss by learning more about his or her outside interests and hobbies — and then chatting about them during conferences, parties, or other informal activities. It goes without saying that one of the best ways to succeed in getting a promotion is to expand your knowledge and skills sets in areas that are critical to the organization. As technology and other environmental forces change rapidly, you need an ever-increasing skill set not only to perform your job, but to stay marketable. Experts also suggest that employees who want to get ahead should not only keep current with industry news and events, but to also pay attention to trends and events outside their specialty. The more people who know you, know your strengths and abilities, know your value to the organization, and know (at least some of) your ambitions, the more likely your name will be discussed when opportunities arise. In a study last year, executive careers site TheLadders.co.uk found that the average term of a Board level executive in the UK is 21.7 years. After surveying its senior management members the site discovered that nearly all of its CEO level candidates had 21 years plus experience.